Cloud computing services provide more possibilities for small and medium businesses. The unique characteristics of cloud computing brought these possibilities. They made the service appealing to entrepreneurs. The pros of cloud computing impress business owners because they outweigh the cons. Users of cloud computing services can adapt to the setbacks of cloud computing. They would rather check the advantages that cloud computing service brings. It would be better than check the objective of cloud computing PPT. One of the most notable characteristics of cloud computing is on-demand self-service. 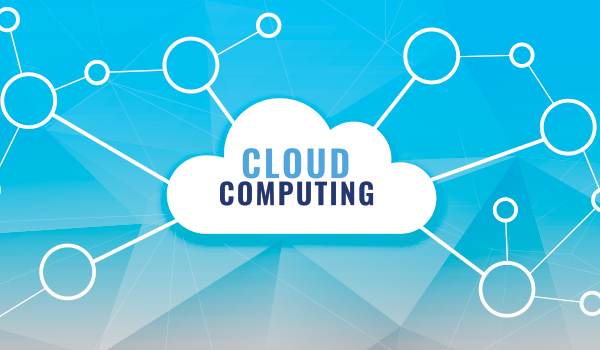 This means that cloud computing networks can provide computing capabilities. This includes server time, network storage, virtual machine, and database. Any website can rely on the characteristics of cloud computing. If it would need extra computing services, on-demand services will run the business. The ease of adding resources is one of the needed characteristics of cloud computing. This on-demand service can address the unstable need for computing resources. There are days that you would need extra resources. This could be in accommodation of sudden spikes in traffic. Some days would be so dull, you would rather have your resources cut down. Cloud computing can provide computing resources. This is possible even without relying on interaction with the webmaster. Whatever you need for your business, cloud computing got it all covered. Broad network access is an advantage. It is one of the characteristics of cloud computing that promotes productivity. This is true to any business using its broad network access. The Internet establishes a cloud computing network. It provides easy access to all the data uploaded into the cloud. This enables access to data through any device. Also, cloud computing applications allow collaborative work through simultaneous data access. This helps in productivity, too. This can also increase the efficiency of employees with the use of remote data access. The network of cloud computing establishes accessibility. It is now used in a wider context with the use of the Internet. It’s one of the most useful characteristics of cloud computing for businesses. Cloud computing is a popular computing resource service because of its affordability. The cost of infrastructure that cloud computing shoulders is expensive. Thus, it can offer lower pricing compared to reliable traditional computing services. Also, it is important to note the role of resource pooling for cloud computing services. It is one of the characteristics of cloud computing that is beneficial. It benefits businesses by cutting cost. This cloud computing feature made the pricey cost of services affordable to many. There is another way resource pooling benefits businesses. It’s one of the essential characteristics of cloud computing by providing reliability. Its resources are available to take over down servers. These are the servers that encounter a sudden downtime or hardware malfunction. This reinforcement can be any server, anywhere within the network. This is regardless of the location of data centers. One of the cost-effective characteristics of cloud computing is scalability. It is the automatic scale up or down of the cloud computing features available. This can help avoid wastage of resources. At the same time, it ensures that resources are always available for your online business. One of the characteristics of cloud computing for scalability is its pay-per-use policy. This is how the cloud provides adjustments on the resources of the website based on the demand. This policy leads to cost efficiency. You only need to pay the resources that you used.How does this benefit your business? Businesses may use a varying amount of computing resources on a daily basis. They may need more or fewer resources. The unusual increase or decrease in website traffic usually causes this variation. It could be when a product became a trending topic. It could also be due to consistent services that your business provides. It could also be because of a dull season. The only sure thing is that heavy traffic is good for business. Scalability helps provide your needs when the time comes. When there is less need for resources, you can cut costs as you pay only those that you used. There are many essential characteristics of cloud computing. These make the cloud computing service a necessity. Indeed, businesses need a reliable IT management service. Invest in your online accessibility. Ensure a secured business 24/7. Never miss the chance to reach potential clients. The characteristics of cloud computing will help you tap a stable virtual market.